Leftists Defend Media Hope That Boston Bombers Were ‘White’ Conservatives. Demonization of Whites and Conservatives by MarxoFascist ideologues in Obama’s media is par-for-the-course when perpetual revolution against America is the goal. In a great rant follow-up to this entry Praying For A White American/Tea Party/Christian Terrorist – First Things states an unabashed truth in the wake of a Leftist/liberal imbecile who defends the media’s prayer and hope in the hours after the Boston Marathon Bombing that the bombers were White and Conservative TEA Party types. Kudos to Pete Spiliakos for calling them out on their twisted attempts to justify their demonization of a majority of Americans. You’re Not Tolerant Or Humanitarian. You’re Just A Partisan Hack Defending Slander. Did you notice that when liberals were talking about white terrorists, they didn’t mean just any old white terrorists? Liberals were predicting (hoping for) “militia-men” who were “on the right” and inspired by Tax Day. Whites, like most large groups of people, are a varied bunch. So are white terrorists. Most of the Occupy movement-inspired bombing conspirators in Cleveland were white. Kathy Boudin, Bill Ayers and Bernadine Dohrn were all white. Somehow I don’t think that Isaac Chotiner’s liberal friends were hoping that the Boston bombers were deranged fans of the Occupy movement. 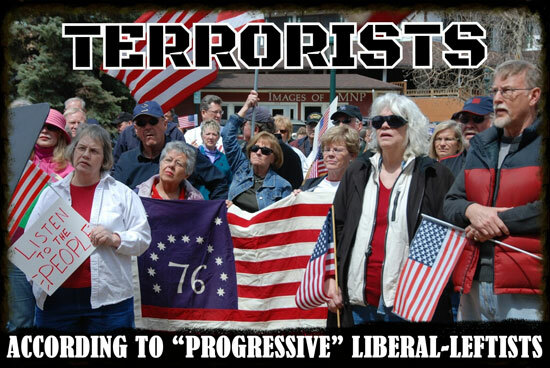 If liberals really were hoping that the Boston bombing would be a one-off, then they, in all their deep commitment to tolerance, would have hoped that the bombers were left-wing extremists. Remember how, after the Gabby Gifford’s shooting, we were all told by the president to tone down our rhetoric and how a New York Timesentertainer suggested that Sarah Palin had contributed to the climate that led to the shooting? The guy who shot Giffords was just a loon whose obsessions had nothing to do with partisan politics, but that did not stop liberals in the media from suggesting that the shooter was tied to the Tea Party. That was a collective smear against millions of innocent people, but these things happen. Now do you remember the lunatic who tried to shoot up the Family Research Council? 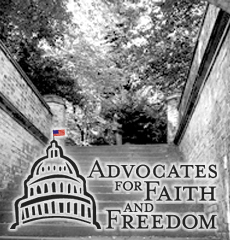 He actually wasinspired by a liberal group’s description of the Family Research Council as a “hate group.” That wasn’t such a big deal was it? Just an isolated event. The guy only represented himself. No reason to curtail robust public debate. Certainly it wasn’t a moment for liberals to rethink the virulence of their rhetoric. 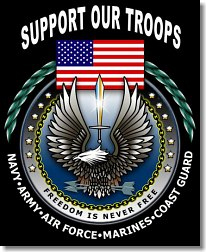 So if liberals really hope that the next terrorist event will be treated as an isolated incident, they should, in the immediate aftermath, say something like “We really hope these are left-wing terrorists who were inspired by the ability of the Weather Underground bombers to leverage their terrorist activities into employment in academia.” Because liberal journalists, activists, politicians and entertainers are saying they believe and “hope” that that it is a right-wing terrorist, aren’t hoping that the terrorism will just be treated as an isolated event. They are hoping it is a chance to smear their peaceful and democratic political opponents. They should be despised first for their approach to democratic debate, and second for their hypocrisy. The Saudi National, on a terror watch list and let go by DHS after a deportation order rescinded – visited the Obama’s at the White House on several occasions. Michelle Obama visits him in hospital. Obama has certainly shown us all that he stands with the Muslims, even to the detriment of America, Christians and innocents. He supported the Muslim Brotherhood takeover of Egypt, the Islamist overthrow in Libya and has been busy arming Al Qaeda-backed rebels in Syria. His regime refuses to this day to classify the Fort Hood Jihadist attack as a terror attack, instead insisting it was ‘work place violence’. He was initially negligent to state that Boston bombing was a terror attack when he first commented. The initial suspect, a Saudi National on a student Visa with burned hands who was tackled running from the scene of the Boston bombing, and declared a ‘person of interest’ was suddenly and without justification – cleared of the investigation and set to be deported after Obama had a meeting with the Saudi Ambassador. Then his deportation orders were altered after Janet Napalitano was questioned about the suspect by Congressman Jeff Duncan. She vehemently denied having any deportation order for any Saudi national, then admitted later Al-Harbi, the Saudi national was indeed placed on a terror-wartch list when evidence was discovered that those records were altered. Who ordered those records altered? Why was Al-Harbi’s placement on the terror-watch list suddenly removed? Why was Al-Harbi suddenly declared ‘not a person of interest’? Why has the Obama regime, the DHS, ICE and every other alphabet agency refused to note the fact that Abdul Rahman Ali Al-Harbi’s clan and relatives are spouters and members of Al Qaeda? A path to answering those questions may lay in the fact that White House records show that Abdul Rahman Ali Al-Harbi visited the White House and the Obamas SEVERAL times since 2009. 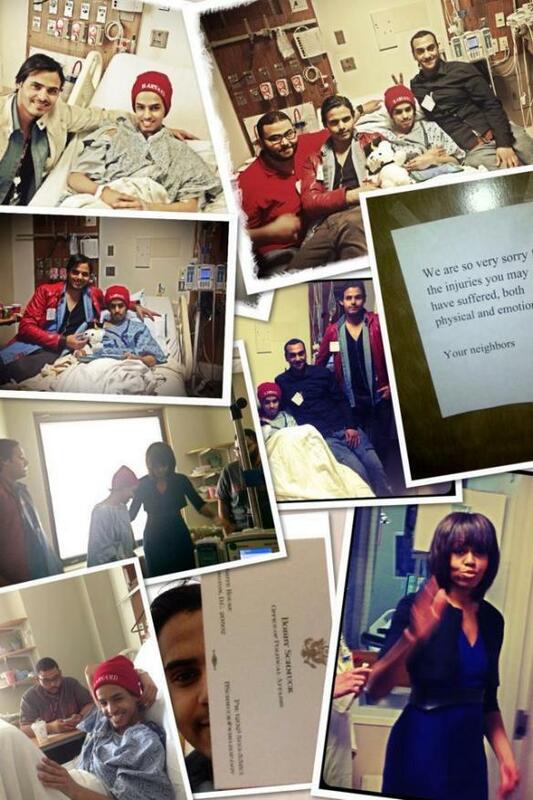 Then we learn Michelle Obama even visited him in his hospital room after the Boston bombing. That was flatly denied by the White House – but Al-Harbi was kind enough to post pictures of her visit on his Facebook page – proving yet again that the Obama regime is not only lying, but somehow involved in a massive cover-up and complicity in all this chicanery. Glenn Beck blew the lid and cover off this story that is being deliberately ignored and muffled by the mainstream media and ridiculed by the Obama government. But like everything else from Boston to Benghazi – the Obama Regime is never held to answer questions of it’s incompetence, malfeasance or treason. 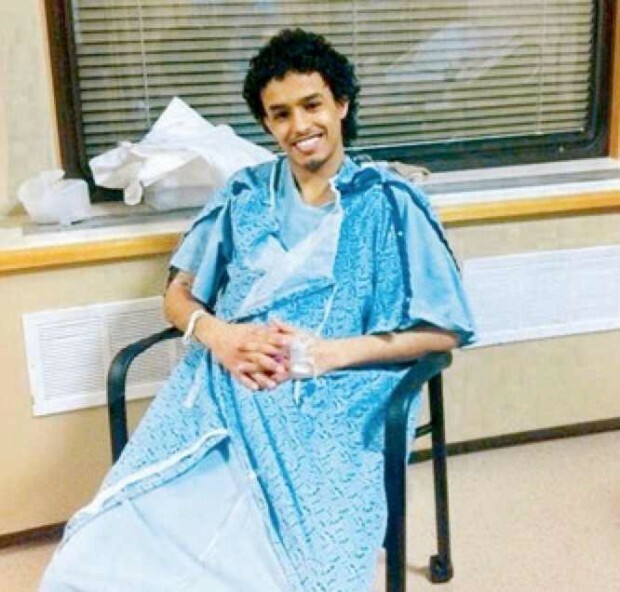 Saudi student Abdul Rahman Ali Issa Al-Salimi Al-Harbi was injured in the Boston Marathon Bombings. He was once a “person of interest” in the bombings. He was put on a terror watch listafter the bombings. Michelle Obama visited al-Harbi in the hospital last week. The Saudi National questioned after the Boston Marathon Bombing had his deportation order records altered, rescinding his deportation order. The alteration occurred the night before Secretary Napolitano vehemently denied the existence of any deportation order in testimony before the House of Representatives. Sources with knowledge of these matters says the change occurred subsequent to Secretary John Kerry’s closed door meeting on Tuesday with the Saudi Minister and around the time of the meeting between the Saudi Minister and Obama later on Wednesday evening. “I am not going to answer that question, it is so full of misstatements and misapprehensions, that it is just not worthy of an answer…. An ICE official said a different Saudi national is in custody, but is “in no way” connected to the bombings. Fox News’ Todd Starnes reports that Alharbi was allegedly flagged on a terrorist watch list and granted a student visa without being properly vetted. Sources close to the investigation also told him the Saudi is still set for deportation. Perhaps a quick look at the Arabic sources should raise the eyebrows of every American relative to the extent of the problem at hand. Many from Al-Harbi’s clan are steeped in terrorism and are members of Al-Qaeda. Out of a list of 85 terrorists listed by the Saudi government shows several of Al-Harbi clan to have been active fighters in Al-Qaeda.